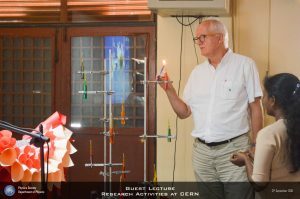 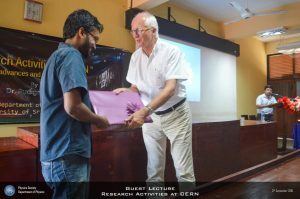 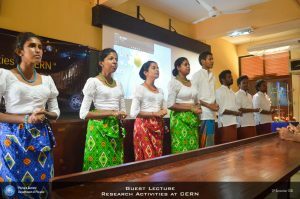 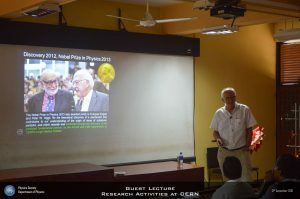 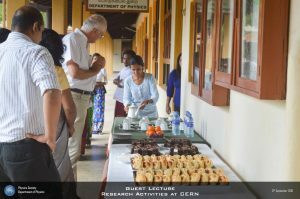 We organized a Research talk about “Research activities at CERN-Recent Advances and Future prospects” by Dr. Rudiger Voss, Head of International Relations, CERN while he was visiting Sri Lanka in September 2016. 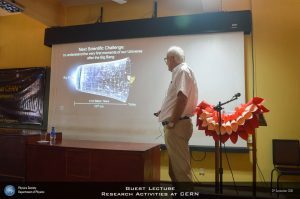 This event was held at the main lecture theater, at the department of Physics on 12/09/2016. 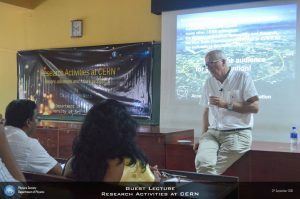 This was a good opportunity for us to discuss and explain our students’ activities directly to the head of international relations of CERN. 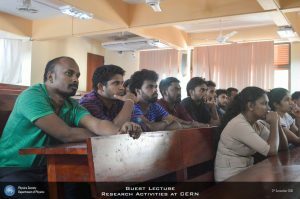 It was a fruitful day and both communities shared their views and students had a rare opportunity to find out higher studies program at CERN, and other research activities at CERN.